Explaining Muppet Theory: Are You An Ernie Or A Bert? Slate's Dahlia Lithwick believes that all relationships can be defined by the difference between Chaos Muppets and Order Muppets. Explaining Muppet Theory: Are You An Ernie Or A Bert? 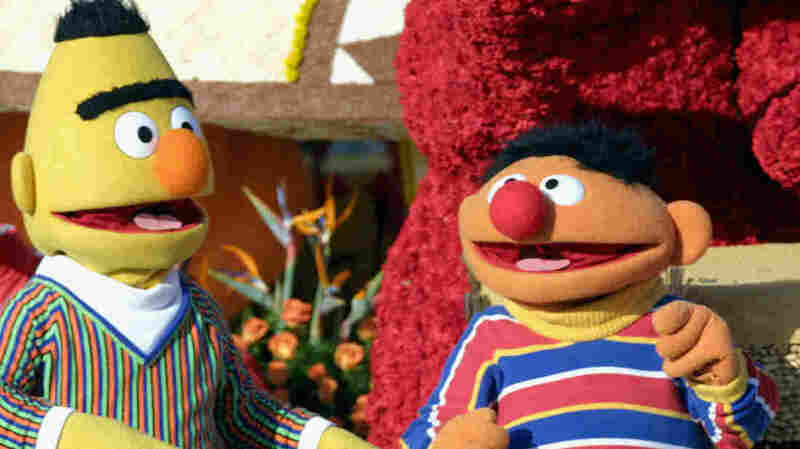 Sesame Street's Bert and Ernie in the 2005 Tournament of Roses Parade. They even look like a clash between Order and Chaos, don't they? Most of the time, Slate's Dahlia Lithwick covers the Supreme Court. She's been doing that for the last 13 years. But recently, you may have seen her name floating around in connection with the piece she recently wrote that she discusses with Scott Simon on Saturday's Weekend Edition. In short, Lithwick posited that the world can be separated into what she calls Chaos Muppets and Order Muppets. Ernie versus Bert. Cookie Monster versus Kermit. Gonzo versus Sam the Eagle. As she said at Slate, it's the difference between those who are "a swirling maelstrom of food crumbs" and those who are "neurotic" and "sometimes resent the responsibility of the world weighing on their felt shoulders." As she explains, she believes that this theory explains how to create successful workplaces, marriages and — yes — appellate courts. It even explains the behavior of world leaders. You have to get the right balance between Chaos and Order to make everything work, and the Muppets — er, people — have to be in the right roles. Otherwise, things get entirely too chaotic. Or is it too orderly? At any rate, listening to her discuss Muppets with Scott Simon is just right. So we ask you, as we must: What kind of Muppet are you?